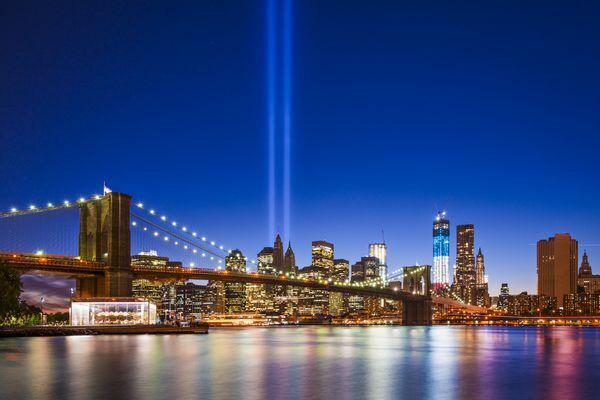 September 16, 2015 Richard D. Henry - President - Millennium Consulting Group, Inc.
Not long after the terrorist attacks that killed 2,977 people on September 11, 2001, I joined three friends on a trip to New York City. It was October and the Yankees were playing the Diamondbacks in the World Series. As lifelong Bostonians and diehard Boston Red Sox fans you would never, under normal circumstances, find any of us at Yankee Stadium rooting for the Yankees. But for us, making this trip, putting on Yankees caps and cheering for the team in pinstripes along with a crowd full of New Yorkers was our small way of showing support. In between games we visited what had been - just a few weeks earlier - the Twin Towers. Two of the friends on the trip are with law enforcement agencies and arranged for an up close visit at "ground zero." I will never be able to fully explain what I saw that day. The size and scope of the destruction was literally unfathomable. It was at this point, as I stood staring at things and scenery that I couldn't (and still can't) get my head around, that I reconsidered the meaning of the word courage. It was then that I began to understand and visualize what that day must have been like for the first responders who ran toward those towers. These men and women saw these massive buildings burning, probably knew that they themselves might not make it out alive but still ran in anyway. They ran in when every fiber in their body was probably screaming for them to run in the other direction. These people, who are all total strangers to me, have forever changed me and, my definition of what it means to be courageous. Intrepid: adjective – Resolutely fearless/dauntless. The Intrepid Leader probably provides the most common definition and image of leadership. When considering the Intrepid Leader, it is important to never confuse fearlessness with carelessness or recklessness. At the highest level, the Intrepid Leader is actually just the opposite. The Intrepid Leader is careful, thoughtful, and calculating – all before taking a risk or stepping forward to accept a challenge. In addition, the Intrepid Leader has a seemingly indomitable belief in their ability and in the abilities of the people on their team. The Intrepid Leader leads by accepting the challenges for themselves and their team. When a moment of truth is presented, the Intrepid Leader will step forward, and in doing so, they create a sense of confidence with the people on their team. As previously discussed in this series of posts, the Intrepid Leader is most commonly connected with phrases like “rising to the occasion,” "stepping up," “mastering the moment of truth,” “standing their ground,” or “taking the lead.” Unlike many average performers, they are not satisfied with a complacent position and tend to seek challenges instead of pretending they do not exist. They are also very likely to challenge their team to step up and accept the challenge as well. The image of the Intrepid Leader is often associated with heroic characters throughout history and unfortunately, the Intrepid Leader steals a lot of the thunder from some of the other leaders in our study. If the Intrepid Leader is the heroic astronaut who makes the first moon landing, the other leaders represent the engineers and scientists who are responsible for designing the strategies, plans, and technology required for their safe flight into space. While the astronaut might be considered by the public and the press to be the hero it is the scientist and engineer who is the unsung hero to the astronaut. Leadership is all a matter of context and perspective. As we are beginning to see – and as evidenced by this simple example – leadership is needed in a variety of different situations across an organization or a cause. Leaders can sometimes be quiet scientists who sit in their laboratory and develop a detailed and effective plan for going to the moon. Yet, in other cases, the real leaders are the astronauts who step into the rocket built by the scientist to be the hero rocketed to the moon. One of the many dangers associated with Intrepid Leadership is the potential to develop an attitude of excessive bravado. This can be very damaging to the legitimate pursuits of the leader and their team, and it can make the leader’s desired personality the star, and not the cause or team. It is important for the Intrepid Leader to maintain a strong sense of humility and always look for ways to share the spotlight. Finally, it is important for all in leadership positions to remember that in certain situations, leadership should be focused on the concept of stepping forward, while in other cases, it can (and should be) focused on stepping back and not moving forward. We are not suggesting retreating out of fear; rather we recommend stepping back when they sense the crowd is moving in the wrong direction. The Intrepid Leader might notice something that would indicate that the path they are on is not working, so they are not afraid to raise their concerns, even when it means going against the majority or popular opinion. The Intrepid Leader must always stay focused on what they consider to be right, and should not simply accept challenges for the sake of accepting challenges. In many situations, this can be a recipe for disaster, and the “gunslinger” mentality has been responsible for many great failures throughout history. The fearlessness to take risk and accept challenges is best complemented by careful analysis, calculation, and a willingness to stand against spontaneous action. The Intrepid Leader makes every effort to make decisions based on data, calculation, what is right for the collective good, and their own beliefs. They do not believe in risky approaches like guessing, gambling, or moving on what their “gut instinct” tells them to do. Gut instinct is very often misunderstood and can be considered a genetic pre-disposition, but, in most cases, it appears more likely to be a belief or feeling based on a person’s education and experience, but this may be a debate to be taken up elsewhere. The story of Helen Keller is the story of a child who, at the age of 19 months, suddenly lost her hearing and vision, and who, against overwhelming odds and with a great deal of persistence, grew into a highly intelligent and sensitive woman who wrote, spoke, and labored incessantly for the betterment of others. So powerful a symbol of triumph over adversity did she become that she has a definite place in the history of our time and of times to come. Philosophy: When challenges are presented somebody needs to be first to accept them. Taking the first step forward is one of the hallmark attributes and character traits of great leaders throughout history. It only takes one to create a movement and when one leads for the right cause many will follow. Mistakes to Avoid: Confusing Intrepid Leadership with bravado. Jumping on every challenge just because you have a reputation for stepping up or accepting the challenge for vanity’s sake. Best Practices: Analyze and calculate whenever possible. Make sure you have a plan and step forward. Avoid caving under the pressure and accept the challenge. Whenever possible, step forward for the team by saying: “our team can handle that” or “we can make that happen.” Speaking confidently about the capabilities of the team instills confidence in his or her team and creates high levels of team loyalty. Is the risk I am about to take about bravado or something that needs to be done? Can we do this? Why are we doing this? Is my team capable of taking this on, or am I making too big a bet? What will happen if I accept this challenge and succeed? What will happen if I accept this challenge and it fails? Now that the challenge has been accepted, how do I ensure we succeed? What do I need to do to instill confidence and move us out of this crisis? How do I share credit for this success with my team and supporters? By standing up when others lack confidence and hope what affect does that have?